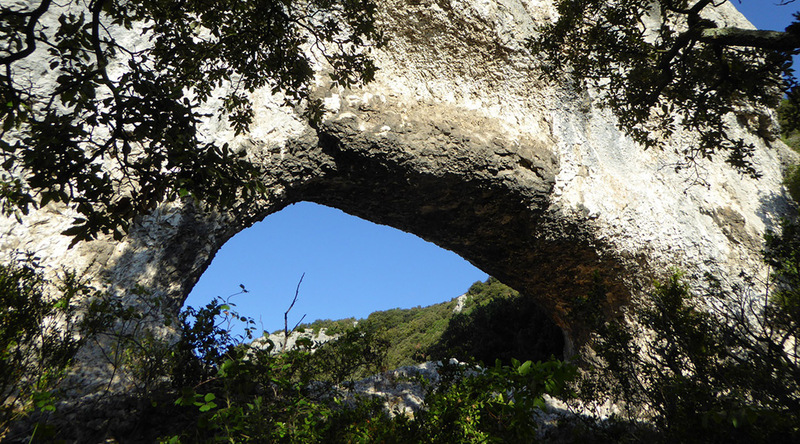 Our intrepid arch hunter Guilain Debossens reports the 900th arch that he has documented in France: Barri Troué. 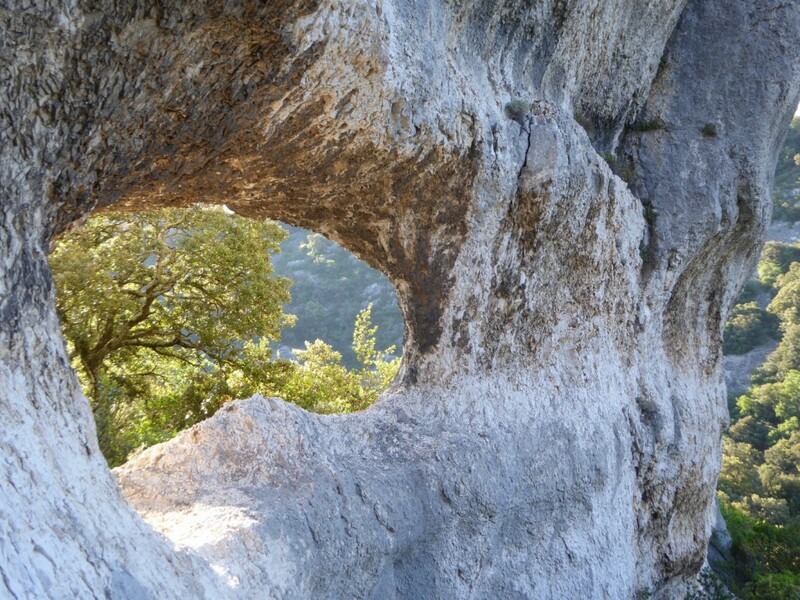 This natural arch is located on the lower section of the canyon of Rimouren near the village of Saint-Montant in the Ardèche department of France. 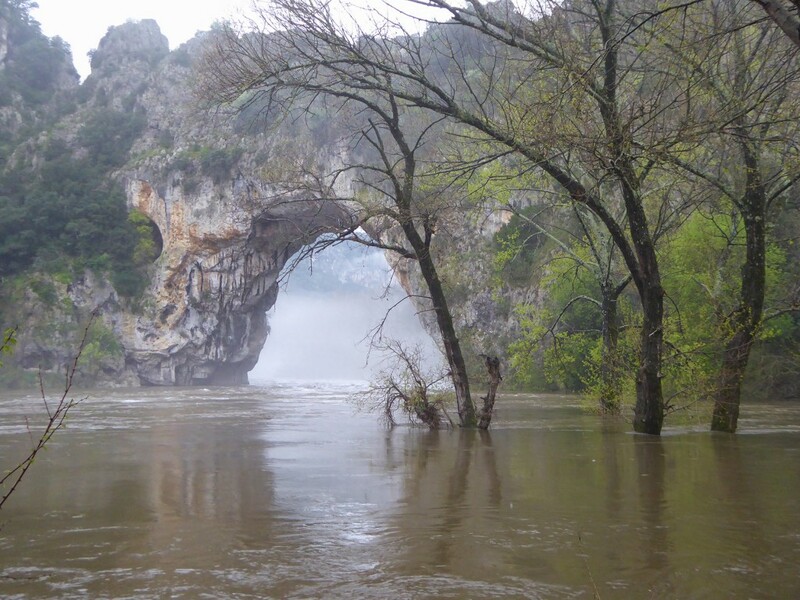 The opening has a measured span of 18 feet. 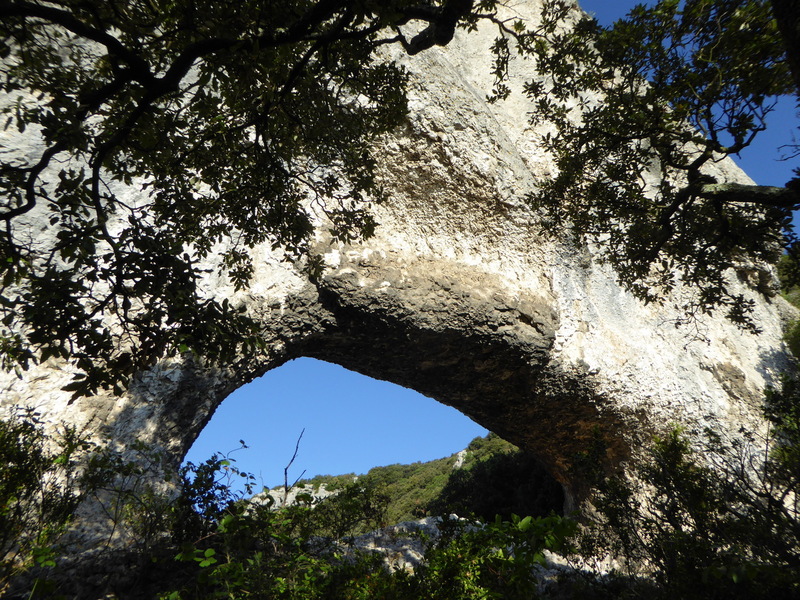 Barri is an old Provençal name for a rocky ledge. 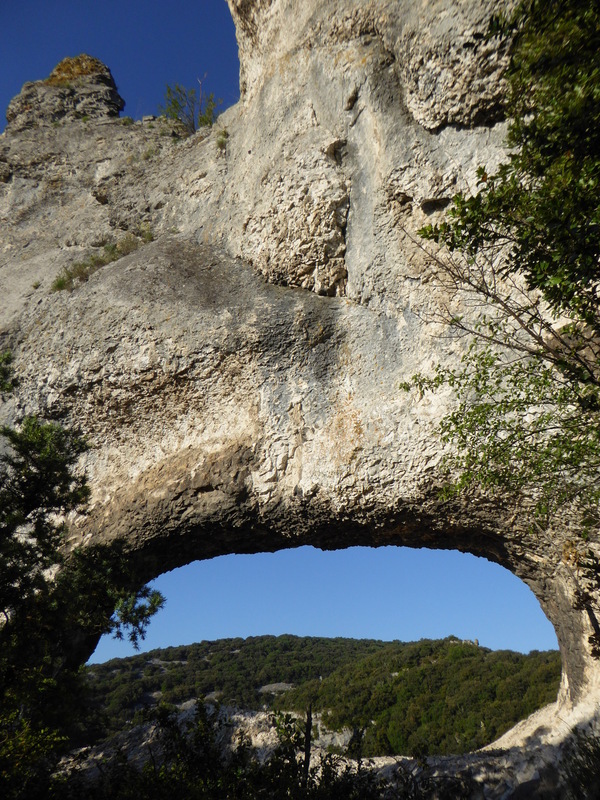 Barri Troué is named (but not precisely located) on the IGN topographic map Top 25 number 2939 West Gorges de l’Ardèche (pleat B9). 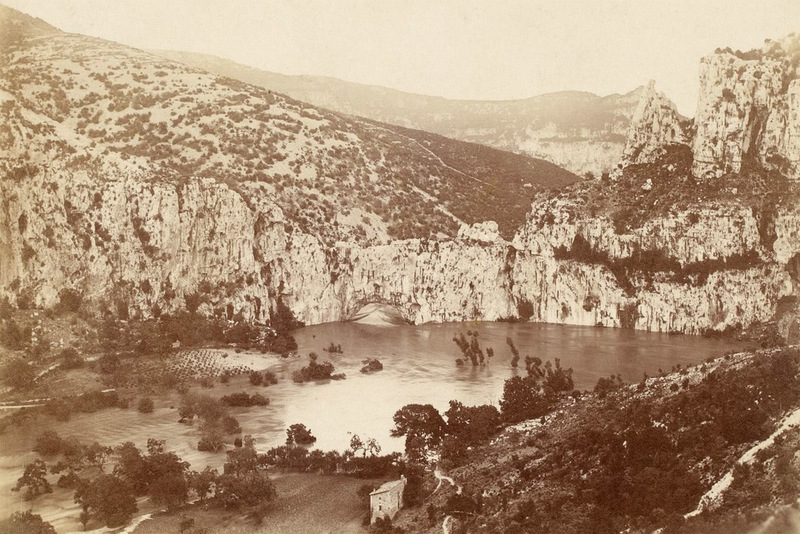 Below are three photos of Barri Troué. About 95% of the arches Guilain has documented in France are on his website. 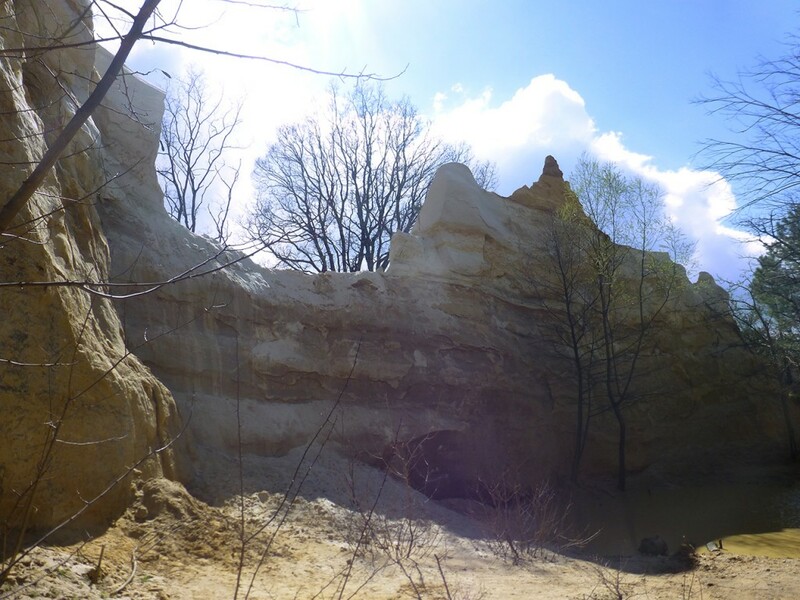 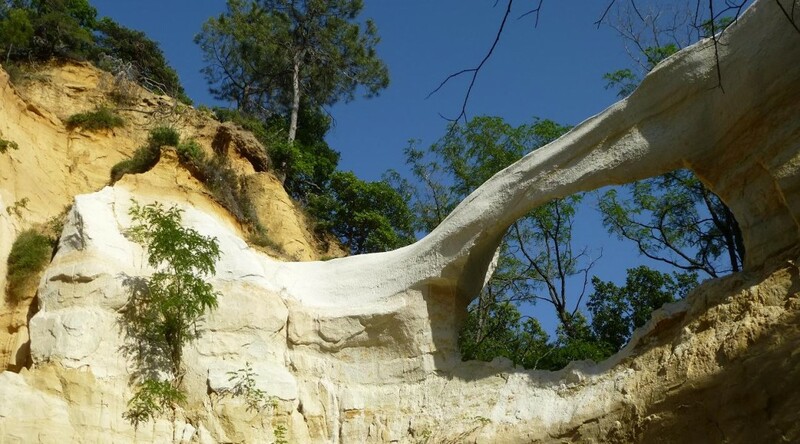 Arch evolution can occur over thousands of years, but La Dame Blanche (The White Lady) in France consisted of a crumbly clay-like rock and evolved from youth to maturity to collapse in the course of just a few years. 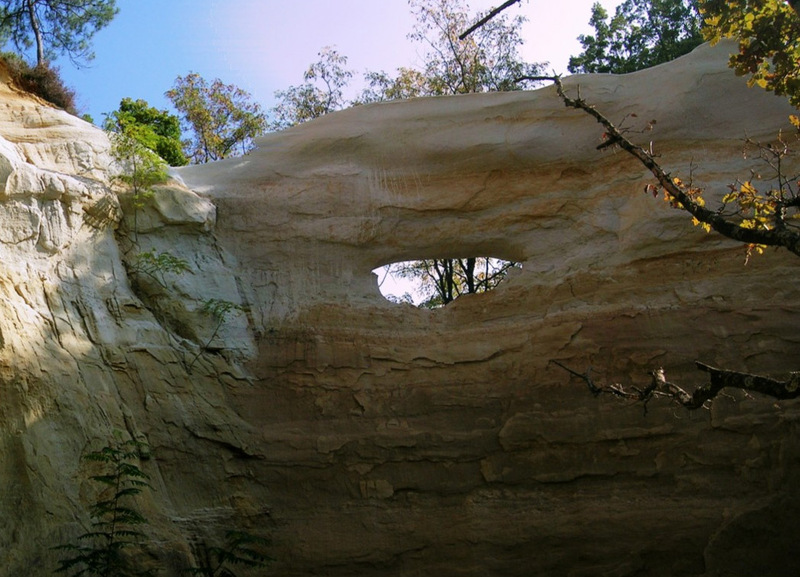 The photo below taken by Albert Zwinkels in 2009 shows a small, young opening. 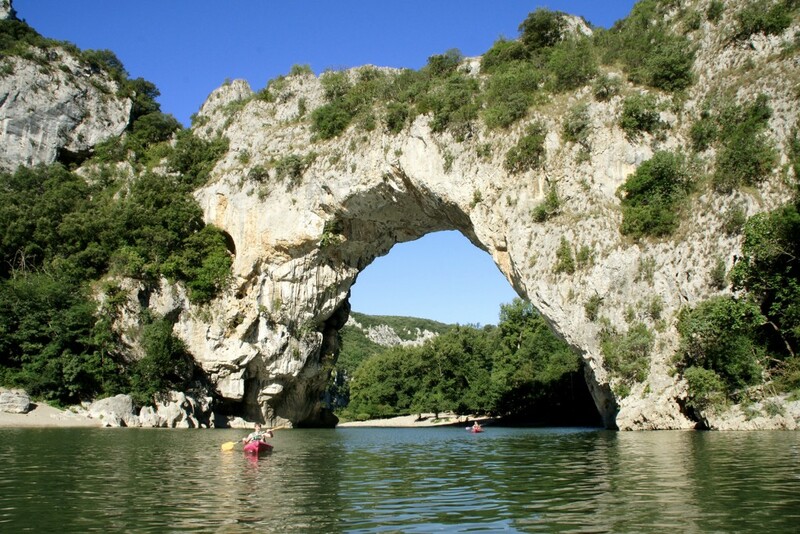 The photo below by NABS member Guilain Debossens taken in June 2014 shows a mature span of 20 feet. 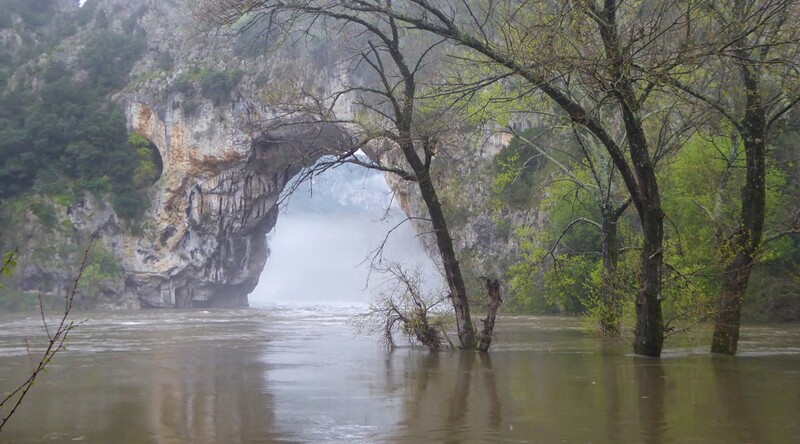 The photo below by Raphael Rodon was taken in April 2015, showing that the arch had collapsed. 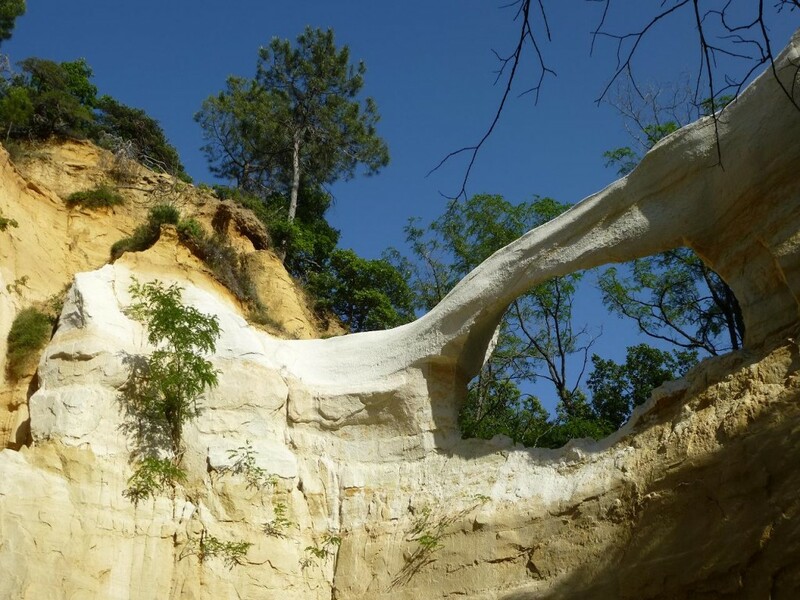 La Dame Blanche (NABSQNO 31T-663186-4933509) was located in the vicinity of Dieulefit village in the Drôme department of France, about 100 miles south of Lyon and 120 miles north of Marseille.